Knowing the best way to install carpet pad doesn’t mean you will necessarily choose to do the job yourself; you may instead choose to supervise it. But having the know-how under your belt, you can then hire qualified workers and know that they are doing a top-notch job installing both the new carpet and the padding. If you do want to try to install the carpet pad yourself, however, look at these five easy steps and get an idea of just how easy the process can be! The top rated tools for carpet installers are Roberts Carpet Tools. Their professional quality but do-it-yourself pricing makes them a perfect companion for anyone installing carpet or carpet pads. Laying carpet correctly is a big job, and more importantly, one that needs to be done correctly. Part of the success of laying the carpet and what will help make the greatest difference in your overall satisfaction from your newly carpeted room comes down to not only selecting a quality carpet, but also using a quality carpet padding. And, just as importantly, you will want to ensure that carpet pad is installed correctly, as many people fail to recognize the importance of how to install carpet pad. For new carpet to last, you have to invest in both a quality carpet that is durable and will hold up to the daily wear and tear and quality carpet padding, and you will need to install both correctly. If you skimp on any one of those three steps, you may find yourself disappointed in your carpet. A bad installation can cause carpet to look bad quickly, and wear out long before it should. You will also want to ensure that your subflooring is even. Installing carpet pad or floating floors on an uneven subfloor will only cover up the problem temporarily. A carpet pad installed over uneven subfloors will wear unevenly and quickly with the pressure from feet and furniture, causing the carpet and the padding to wear out much quicker. If you have pulled up existing flooring of any type to replace with new carpeting and you note that the subfloor underneath is uneven, there are a few different fixes you can consider, depending on the situation. This is something you will want to do if the entire sub-flooring is uneven or damaged, or even if more than a few minor patches are. You can replace just a portion of the plywood subfloor if, for example, there is only one area of about a few square feet that was damaged. If the entire sub-floor looks as though it is uneven or is coming apart, it’s definitely better to front the initial cost of replacing the plywood subfloor now. 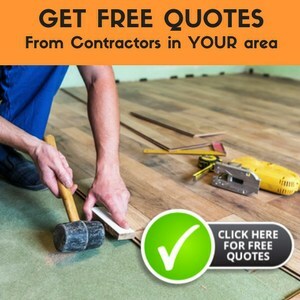 While it is an additional cost, it is a pretty minor investment that will definitely go a long way to protect the larger investment of your new flooring. This is a great way to get a solid, level subfloor. 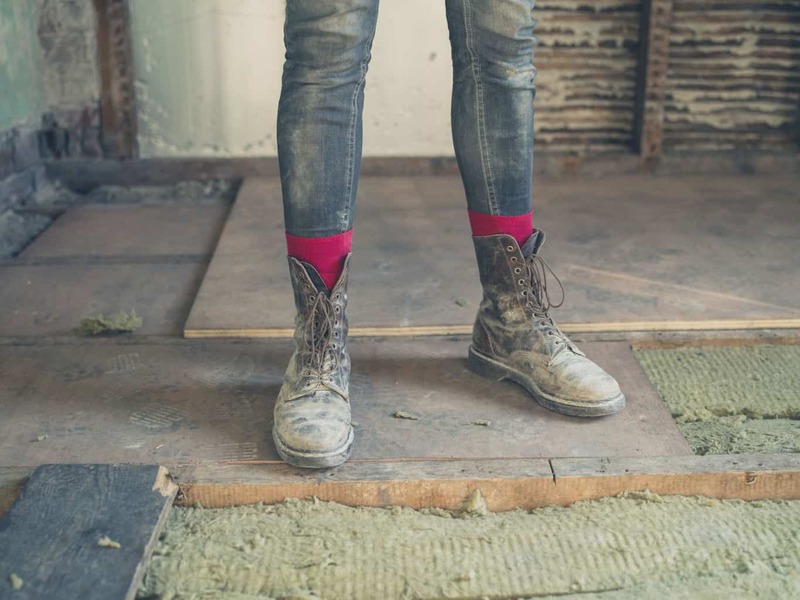 Of course, you can only pour a concrete subfloor if you are on a slab or in the basement or you are absolutely certain that your framing can carry the weight of a concrete subfloor. Do not risk guessing here; have a licensed contractor come and give you the ok to pour concrete if you are not on ground level. Concrete is very heavy, so do not pour concrete if your home has a crawl space unless you have been assured by a professional that the framing can handle the weight, or you will end up with major cracking as the house shifts and settles. 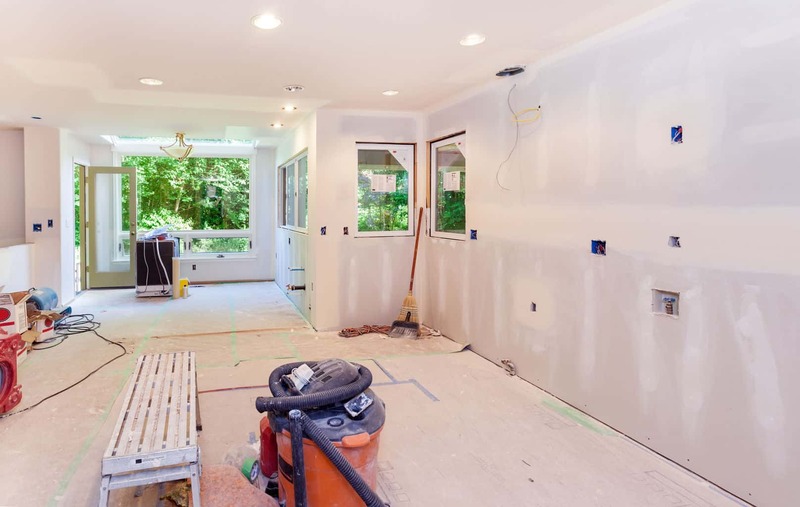 You will only need about ¼” of self-leveling concrete poured as a subfloor, and you should look for a lightweight option like Ardex brand. Also, if your flooring had a plywood subfloor previously, know that you should not pour the concrete over wood, as it will not cure correctly. You will need a backer board or heavy plastic underneath the concrete. Of course you will also need to seal the concrete to prevent moisture problems. 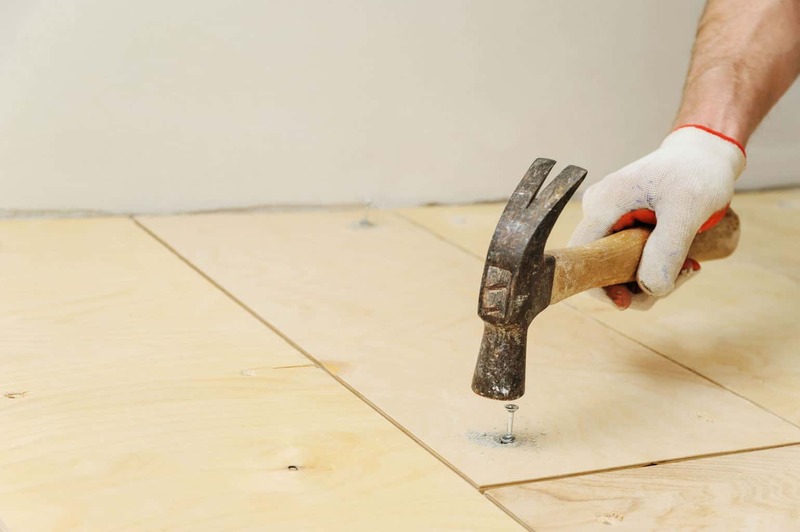 While you cannot simply cover your entire plywood subfloor with this, an underlayment leveling compound can be used to spot fix small areas of damage. If you use a large amount of leveling compound on any type of unsound floor that is at all bouncy, it will break up over time and result in damage to your new floors. Simply mix according to directions and smooth over cracks or gouges with a multipurpose trowel. Choosing a carpet pad is not as simple of a process as you may think. Many people assume that thicker is better when it comes to carpet padding, and while you can see where this concept could have originated, it’s not actually true and choosing carpet padding that is either too thin OR even too thick can cause an issue with your carpet. If the carpet padding is not thick enough, the carpet will be uncomfortable and will wear to quickly, as the carpet will end up having to absorb too much of the impact between foot traffic and the subflooring. Should you choose carpet padding that is too thick for your particular carpet, it may not adhere to the tackles strip well and will peel up and separate from the floor. The general recommendation is no thicker than ½ inch carpet pad is needed in a residential space, and that carpet padding for a commercial carpet or very low pile Berber carpet should be closer to 3/8 inch thick. However, you should check with the recommendations of the manufacturer or supplier of your particular carpet before purchasing a carpet pad. Additionally, carpet padding can be made from a variety of materials. Waffle padding was once the most common, and as the name implies, this has pockets of air built into the design. When purchasing a waffle pad to go under carpet, it is a good idea to purchase denser padding, as this older style padding was known to have too much filler and therefore break down quicker and cease to provide sufficient friction absorption in the long term. Bonded urethane carpet pads are the most popular on the market today, but are losing favor among consumers due to the use of a chemical compound in the manufacturing known as Bht. 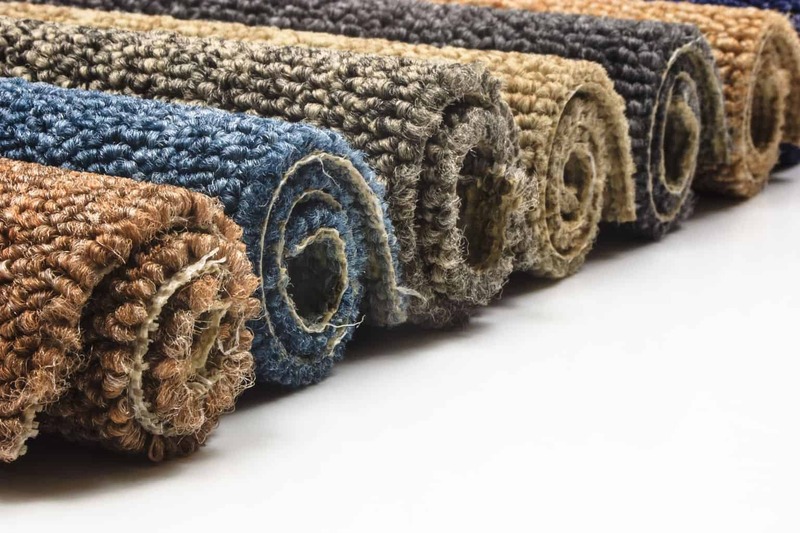 Other carpet padding options include flat rubber, urethane foam, or fiber cushion, which vary in quality and performance, but can be very viable options when purchased from a reputable distributer. The bottom line when choosing a carpet pad is the same as when selecting your carpet: make sure that you gather as much information as possible on your options and do lots of comparison shopping. Be sure to get customer reviews on your different options and remember that sometimes, the best deal will end up costing you more in the long run. So, you have purchased the carpet pad and carpet for the space needed in your home. It’s now time to begin the installation! Believe it or not, the carpet pad installation can be accomplished in a single afternoon and in five simple steps. Clean the subfloor (whatever surface you will be laying your carpet on top of) of dust, dirt, debris, old adhesive and paint spots so that the pad doesn’t get dirty, which will affect the carpet too. Carpet can be installed over almost any surface — Cement, wood, linoleum, vinyl or even stone if you so choose, with the proper preparation. Starting with a clean base is the key here. No matter what high quality carpet you have purchased, if the subflooring is not set up properly, it will have a direct impact on the feel and longevity of the carpet. Once the floor is clean it’s time to install tack strips (usually referred to as tackles strips). Tackless strips vary in sizes (width, thickness, and length), so you should confirm that you are using the right size as recommended by the carpet supplier. The tack strip will be laid around the perimeter of the room, except in front of doorways, being nailed at about 8-12 inch intervals. The tack strips should not be placed in doorways, as they can wear through the carpet over time and could be dangerous if repeatedly walked over. The pins should point toward the walls about 1/4-1/2 inch between the wall and the strips. Nail the tack strips to the sub floor so you have something to attach the carpeting to. If you have masonry floors (such as cement or concrete), then the tackless strips should be glued down with an epoxy to install the carpeting. Though masonry nails could be an option in this case, special adhesives have grown much more in popularity due to both their ease of use and effectiveness. Now it is time to install the carpet pad. Laying the carpet padding is an important part of the carpeting installation process, not only because it can make the carpeting feel more comfortable, but it will also have an impact on the durability of the carpet. If using the waffle pad style of carpet pad, the “waffle side” of the carpeting pad should be face up for maximum cushioning and it is cut to fit inside the tackless strips with about ¼” gap so that the carpet itself can be attached to the tackless strips and the padding does not interfere with the securing of the carpet. Lay the carpet pad perpendicular to the direction you plan to lay the carpet. Cut the carpet pad to roughly the right size and then trim the pad to be just short of the tack strip. A carpet trimmer can make the job much easier and neater, but any sharp blade will do the trick. 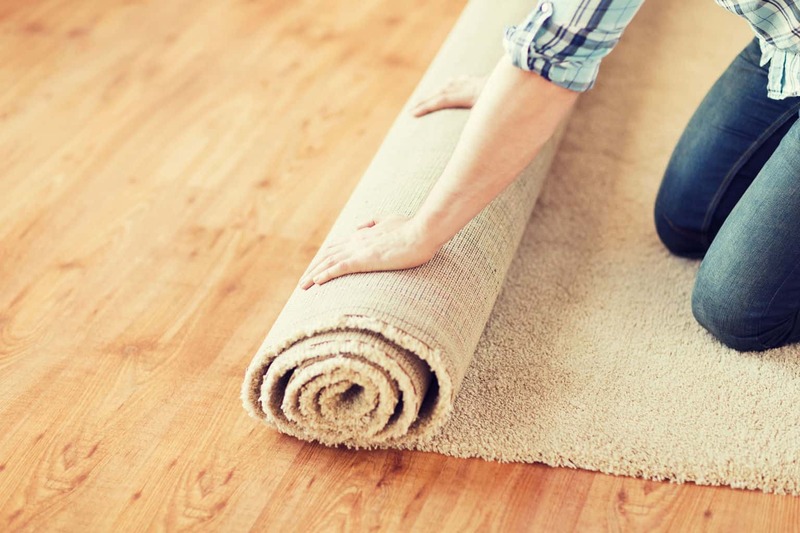 You want to have the padding away from the tack strip a little so that when you stretch the carpet the padding doesn’t ride up onto the tack strip, interfering with proper carpet installation. 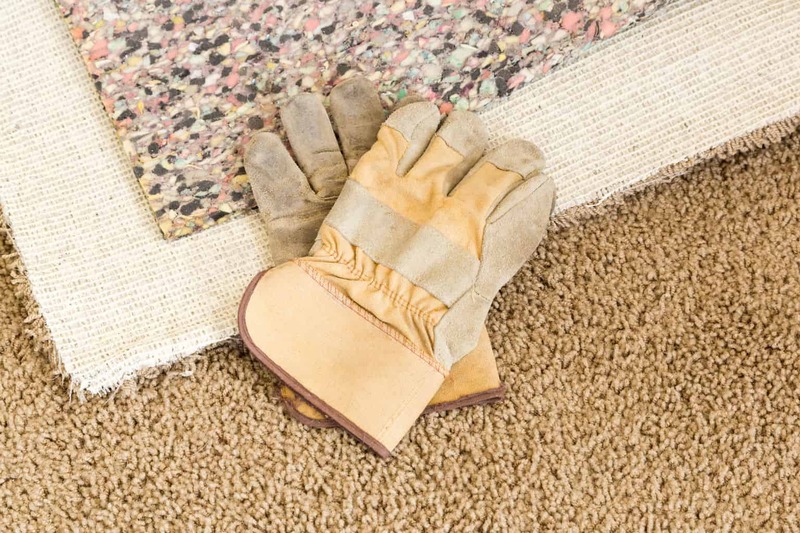 Carpet padding pieces should be butted together, as you lay them down, rather than laid on top of each other for maximum durability and comfort. Tape or staple any seams together to keep the padding from creeping or shifting under the carpet. The padding can be either stapled or glued directly to the subfloor. If you choose to staple the padding to the subfloor, stale it every six inches. A tacker can make this process much quicker and more efficient, but a regular staple gun will do the trick if you don’t have access to a tacker. 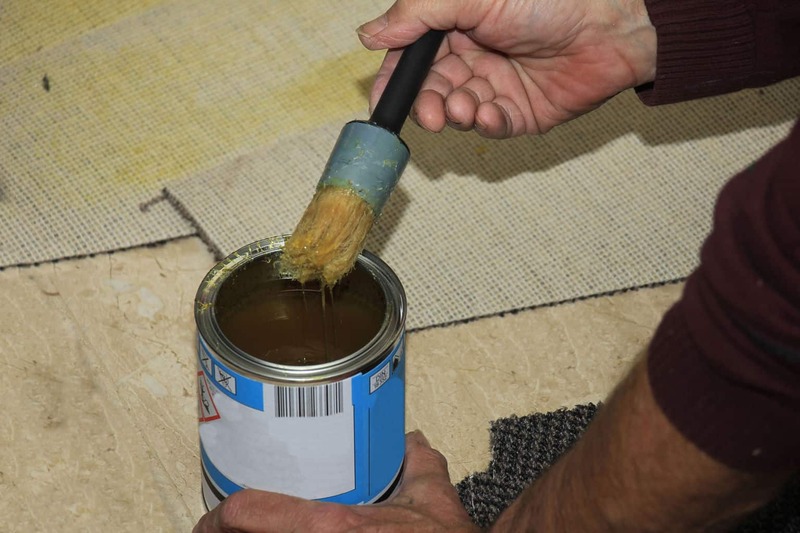 If you are choosing to glue the carpet pad to the subfloor, as you would especially want to do on cement, select a low VOC (volatile organic compound) adhesive so you don’t pollute your indoor air and be sure the area is well ventilated. Be sure to collect any scraps of carpet pad or other extraneous items or trash that any blend into the carpet pad before installing the carpet over top, as these can cause bumps or bubbles in the carpet after the final installation (imagine a Princess and the Pea scenario, where you can feel the additional bubble through the carpet as long as it is in place). 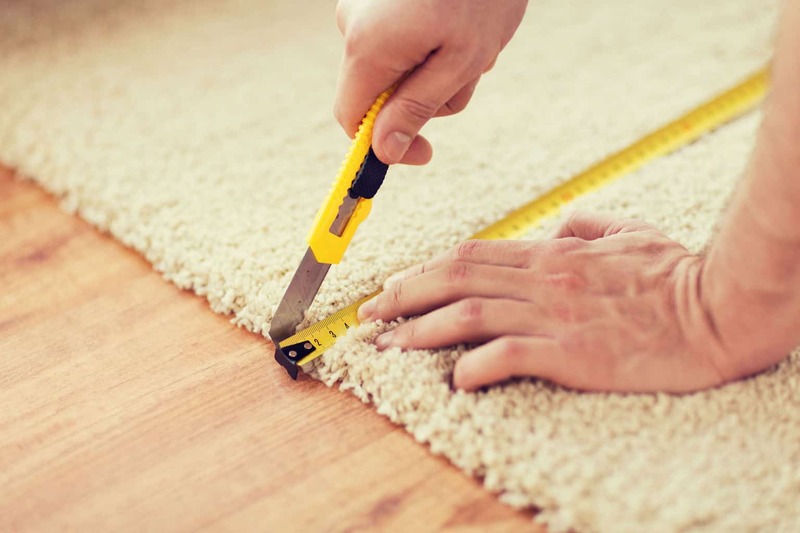 By following the five simple steps above, you can install carpet padding yourself and ensure that the padding and carpet will remain in optimum condition for the maximum amount of time. A professional carpet installer would also follow exactly these five steps when installing carpet pad. If you still do not feel confident to tackle this home improvement project alone, start by attempting the installation it in a small area. Once you get the hang of laying carpet padding, you will see laying carpet padding even in an entire home is a simple five step process. If you do choose to hire a professional, use the above steps as your guide to monitor the installation process of your carpet. It’s best to try to remove it – you can install over it if you get it smoothed out pretty well first. Remember – bumps that are under the new covering will probably be felt and seen to some extent. Hi,I have a bamboo floor and would like carpet over it. The floor is up against the baseboard. I do not want to remove the bamboo floor which has been called by one installer “floating”. I would like the carpet with pading over the floor. Is this possible? thank you! Hi Worldarts, I’ve never encountered anyone who wished to install carpet over Bamboo before. If your carpet installer says it can be done then I don’t know why it couldn’t be done. Have you ever heard tell of this? Is it bad tape?? I’d say the tape might not be sealed properly, perhaps too hot an iron, too cool an iron, or old mastik so it is not sticking properly. I would contact the installer and alert him to the issue. I am about to install a pad and carpet in my basement over cement and vct tiles. I plan to glue the pad down. My problem is: for the tack strips and stretching the carpet. I only have 1 long wall and 2 partial short walls. The 4th wall will be a seam to another rooms carpet which I plan to heat glue together. How do I stretch the carpet correctly. everything I have read uses 4 full walls of tackstrips to get carpet tight. I just dont have that. Thank you so mush for your help. I’m sorry to say I’ve never done one and hear they are very difficult to do well. If you choose to do it yourself the only advice I can give is to be sure to use a 6″ tape and work carefully. Beyond that I’m not going to be able to help you. What type of carpeting are you thinking about? It’s not a good idea to go without using a carpet pad. Pads extend the life of the carpet. I have an article about Carpet Pad here on my site. Why not give it a read and feel free to come back and let me know what you chose to do and if you’re happy with the results! hi carpet lady… we had our carpet installed Commercial grade tight loop over quality pad… the carpet kind of squeeks when yo walk on it… installer says that it is the carpet (polypropylene) but it feels like it is action between the carpet and the pad… any thoughts? Hi. My thought would be that the installer is probably correct. Polypropylene is used to make fiber and plastics. It alone could make a squeak, and also you have polypropylene rubbing against a synthetic pad. I would guess these are where your squeak is coming from. It is definitely not recommended that you stack carpet padding, as that can cause flexing and rippling in the carpet which will result in uneven wear. This will cause your carpet to wear down significantly faster. It’s smarter to spend twice as much on a single, quality carpet pad instead. Additionally, using two layers of carpet padding can void any carpet warranty you may have. Hope that helps! Do you video for clearly displaying the whole process ? Can we use 2 pads on top of each other? For more sound proofing? What size staple should be used when using a staple gun to attach the underpad to plywood?